Meeting with Deputy Prime Minister Yury Trutnev. Putin.BLOG Economy and Finance Regions Meeting with Deputy Prime Minister Yury Trutnev. 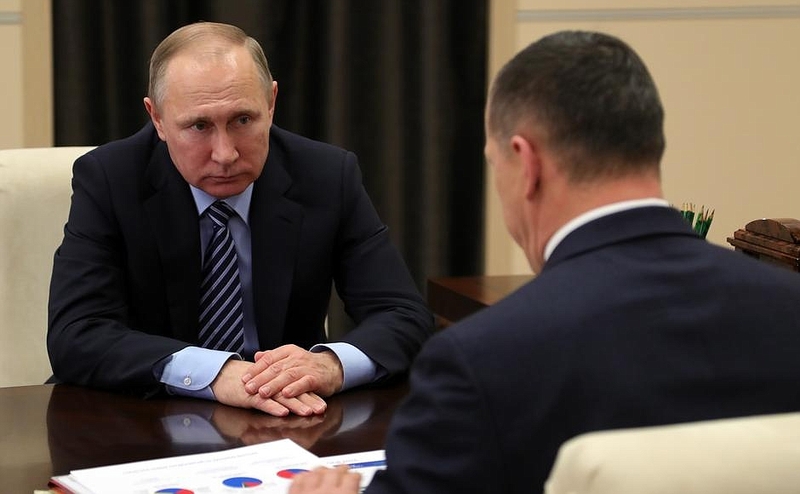 Vladimir Putin had a working meeting with Deputy Prime Minister and Presidential Plenipotentiary Envoy to the Far Eastern Federal District Yury Trutnev to discuss the socioeconomic situation in the district’s regions and Far East development plans. Mr. Trutnev, the Far Eastern Federal District accounts for over 36 percent of the Russian Federation’s territory. What is the situation in the area of your responsibility? What have you accomplished there over the past year and what do you plan to do? Mr. President, we continue working to fulfil your task to accelerate the socioeconomic development of the Far East. We prioritize the creation of system-critical conditions. Last year, five federal laws were adopted that are designed to improve people’s lives and the investment climate. I would like to mention the tariff unification law as the most important development. We have created four new free ports, improved the mechanism for regional investment projects and made the decision to provide people one hectare of land free of charge. This work is continuing. We have 11 draft laws pending this year, including a bill facilitating the issuance of visas to enter the free port of Vladivostok, 22 Government acts, including such comprehensive ones as the development of Komsomolsk-on-Amur – that is with regard to legislative activity. On the practical level, 24 new enterprises opened and over 1,000 jobs were created last year within the framework of state support mechanisms. Five priority development territories and four new free ports were created. The total number of investment projects underway now is nearing 500. Mr. President, you made a critical comment at a Security Council meeting about the need to pay more attention to high-tech projects. It was not criticism. I believe it’s what we should do. We are very attentive to your comments. We have analyzed the situation. At present, high-tech projects account for 24 percent of all projects implemented in the Far East in terms of investment volume. We have a list. We understand that this is not enough. We are currently working with the Far East Development Fund and the Russian Venture Company to create a new instrument that will help support the development and introduction of new technology in the Far East. We expect to finalize this instrument in the first quarter of the new year and report to you. Projects that were frozen are slowly beginning to get off the ground again. This includes the Nizhneleninskoye-Tongjiang bridge. We will put it into operation in June 2018. Work is in full swing. All the required financing has been provided. Work got underway on the construction of the Blagoveshchensk – Heihe bridge. The Elga coal project is being revived. On your instructions, work is in progress to build housing for people who will work at the Zvezda shipyard. Financing was provided by the Far East Development Fund at an annual interest rate of 4.5 percent. The Kimkano-Sutarsky mining and processing works has been put into operation. There were also some problems there, but now everything is running smoothly. One of our major responsibilities this year is probably related to the construction of infrastructure for priority development territories and investment projects. Work is underway at 107 sites simultaneously. Over 500 kilometers of power transmission lines, about 300 kilometers of railway lines, motorways, water pipelines and essential infrastructure are being built. We are convinced that this infrastructure will not only help the projects that are already in progress but will also create conditions for the implementation of new projects. Now regarding the plan for 2017. In 2017, we will open about 50 new enterprises. In all, within the framework of new instruments, there will be 76. In addition, more than 2,000 jobs will be created. We put the number of investment project at 900 by the end of year. We are preparing for the Third Eastern Economic Forum. We very much hope that political dialogue will also continue there. We are counting on your participation, Mr. Putin. We are continuing to work on the One Hectare initiative. So far, we have received over 30,000 applications. Ten days from now, starting February 1, it will launch on the entire territory of the Russian Federation. Interest is very high, and we are doing our best to properly ensure this interest. We believe we need to create the proper instruments to support the people who have received this land. Forty-seven percent of the people who received land are saying that they don’t have sufficient access to financial resources. All they need is a loan. Mr. Trutnev, what about the demographics? How does the process look? The current demographics are the best they have been in the past 25 years. The out-migration is down, but it is still there. Mr. President, I think we will completely resolve this issue in 2018. In 2017, we will be close to resolving it. We were planning – you know how – to resolve tariff issues in certain regions of the Russian Far East. The law was passed, and the Ministry of Energy and Rus Hydro are now developing a mechanism to make it happen. This will probably take about three months, but we will recalculate the amounts so that people can start enjoying the benefits provided by the law beginning early this year already. In accordance with your decision, the tariff will be set at the national average throughout the Far East. 3.19 [rubles per 1 kilowatt-hour]. Why does it take so long, three months? Mr. President, this is a fairly complicated mechanism. I am monitoring this work, because we must provide subsidies to all energy suppliers. We need to make sure that the money effectively reaches the intended recipients without any cheating or other associated problems. Vladimir Putin with Deputy Prime Minister and Presidential Envoy to the Far Eastern Federal District Yury Trutnev. Vladimir Putin and Yury Trutnev. 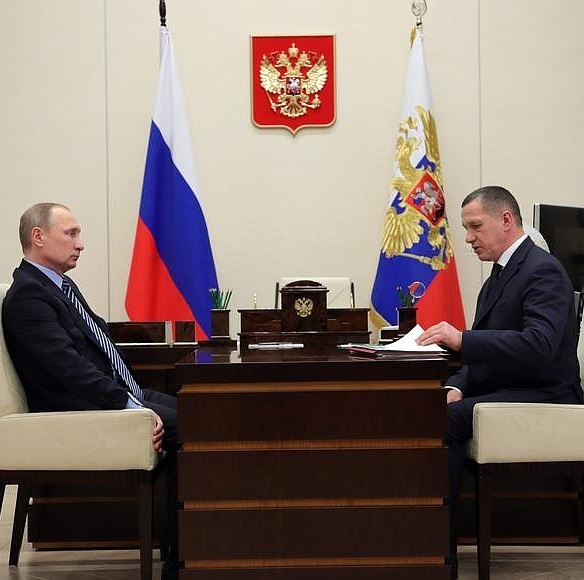 0 Comment to "Meeting with Deputy Prime Minister Yury Trutnev."